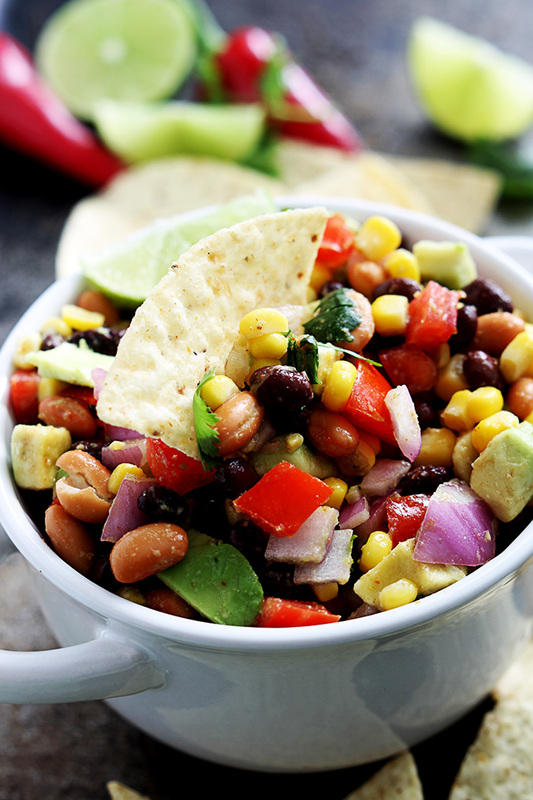 A fast and easy bean salsa appetizer with corn, avocado and tomato. If you are sick of the same old chips and salsa, “bean” it up a little bit with this Easy Peasy recipe! 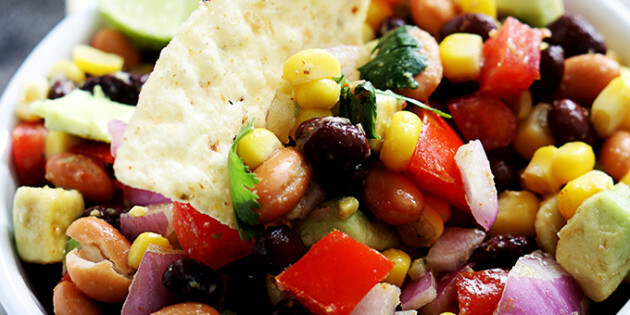 This Easy Bean Salsa is my #HWA Healthy Weekend Appetizer for this week! If you are in a super big hurry, buy already prepared Pico de Gallo and mix with beans, avocado, cumin and garlic powder. I’m hoping that as you are checking out my recipes that you are getting your own ideas of how you can switch things up to make things easier! Serve immediately with corn chips/tortilla chips, or cover and chill until ready to serve.